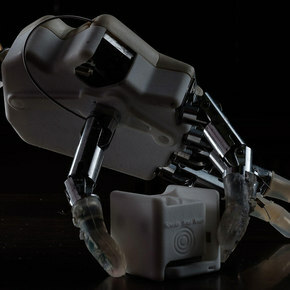 A new sensory-enhanced prosthetic hand allows the user to feel their world in real time. As far along as prosthetics have come, they have lacked the feeling of proprioception—the brain’s ability to continuously sense our limb’s position, even in the dark. 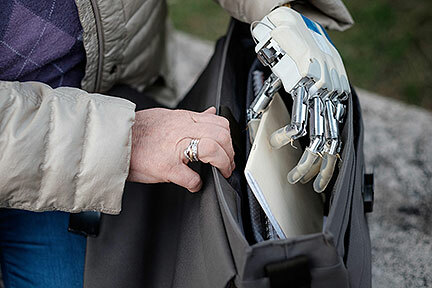 That limitation has been overcome, however, with a next-generation bionic hand created after ten years of research. The system relies on intraneural stimulation, which is accomplished by implanting electrodes into the stump that send electric pulses to re-establish the flow of external information. The patient is then trained to learn how to translate the pulses into proprioceptive sensation, with tests on patients wearing the hand showing a regained proprioceptive ability comparable to healthy patients.